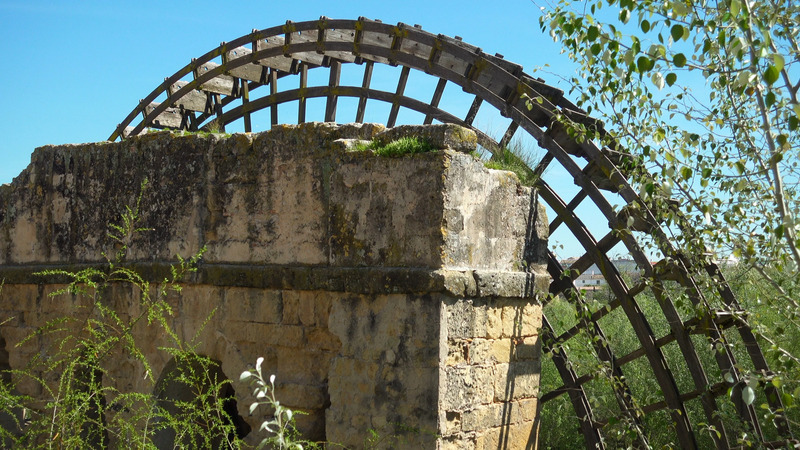 Large Water Wheel Beside The River At Cordoba In Spain. Description: The Molino de la Albolafia water wheel that powered flour mills beside the river Guadalquivir at the UNESCO world heritage site in the city of Cordoba in Spain. The water wheel wasthe emblem of the city from the 13th century.